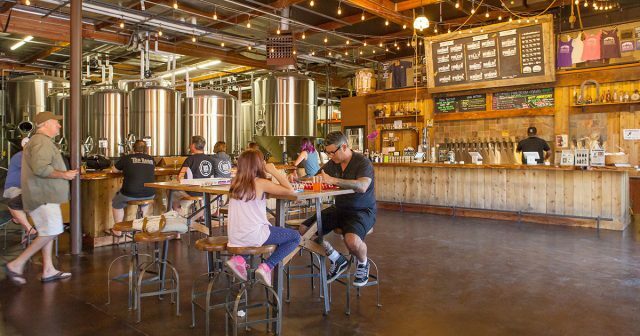 Known as the ‘Capital of Craft,’ San Diego is home to 130+ independent craft breweries and is a birthplace to some of the industry’s most respected establishments. 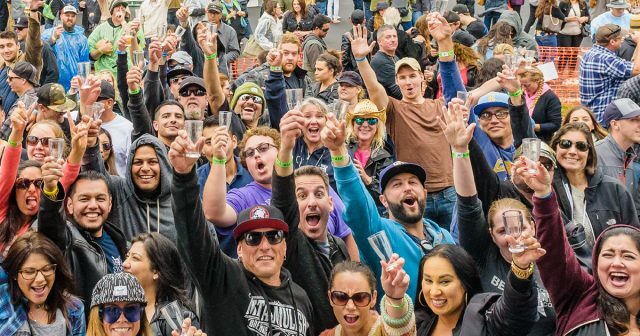 The Rhythm & Brews Craft Beer and Music Festival celebrates this definitive part of our city’s culture. 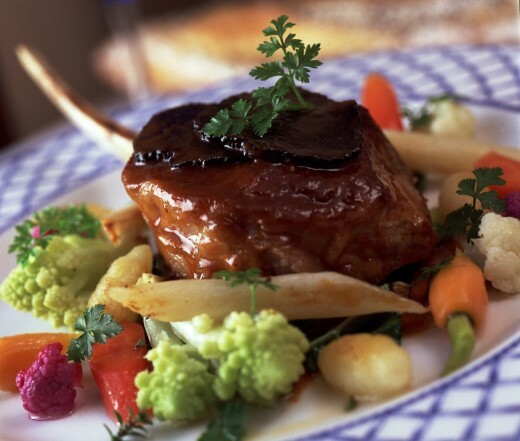 What’s better than indulging in some fine dining in America’s Finest City? How about two or three decadent courses for $10 – $40? Indeed you can, during San Diego Restaurant Week, where you can taste two-course lunches from $10-$20 or three-course dinners for $30-$40. Indulgence that’s kind to my wallet? I’ll raise my fork to that any day. San Diego’s North County doesn’t just offer gorgeous beaches, expansive vistas and charming coastal communities. It is also home to some legendary fine dining establishments that celebrate everything from inspired Mediterranean fare, sumptuous French-inspired cuisine and the freshest fruits of the sea. 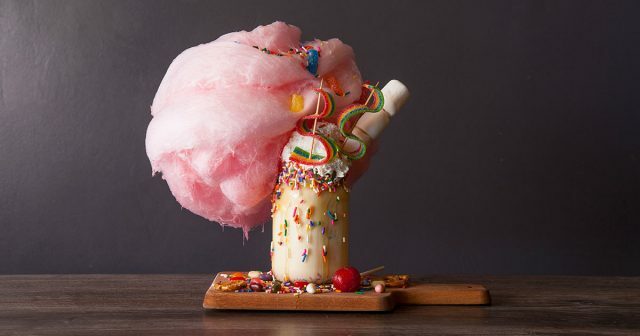 So put on your finest threads, and venture out for an elegant culinary experience in San Diego’s North County. Feel like whisking yourself away to Tuscany? Escape to The Grand Del Mar for an enchanted evening amidst rolling hills and Tuscan style architecture. 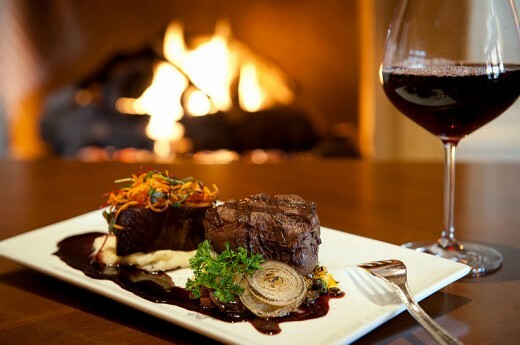 Elegance, romance and indulgence await you at the Amaya, where executive chef Camron Woods creates artful Mediterranean-inspired American classics, such as the Whole-Roasted Filet of Prime Beef Tenderloin served with fragrant red wine jus and smoked onions (pictured above). Or try the Cider-glazed Hot-Smoked Salmon with roasted baby root vegetables and celery root puree. For $25, complete your Mediterranean dining experience with wine pairings for each course, selected from their collection of fine Spanish, Italian and French wines. Not only was Pacifica Del Mar the site of my wedding reception, but it’s also the place to I go in San Diego when stuck with a seafood craving. 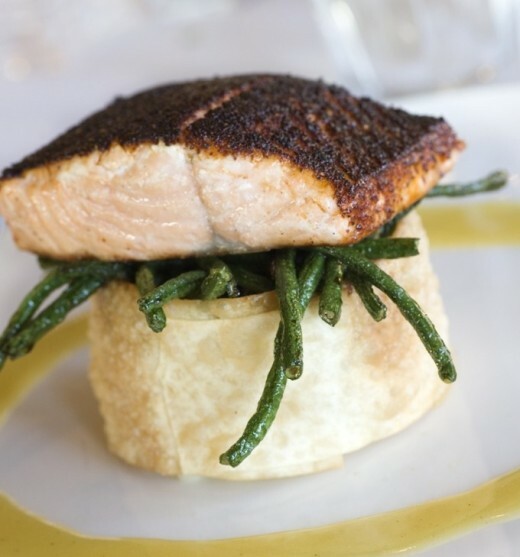 Their Sugar Spice Salmon (pictured above) is the stuff of legend, and is thankfully offered on both their lunch and dinner menu options for Restaurant Week. The overwhelmingly popular choice for guests on my big day, this perfectly grilled salmon filet is spiced with a glaze that is both sweet and succulent. Often imitated but never matched in its perfection, the salmon is just one of the many reasons to try Pacifica Del Mar. Go for lunch if you want to take in gorgeous sunny views of the Pacific Ocean, but go back for dinner if you want to treat your taste buds to their chocolate filled Beignets. Served with blood orange sorbet, these Beignets could be a dangerous start to a new obsession. A San Diego establishment since 1984 and winner of numerous awards (including a designation by Food & Wine Magazine as one of America’s top 25 restaurants), Mille Fleurs is the original creation of legendary San Diego restaurateur Bertrand. Nestled in the heart of Rancho Santa Fe, Mille Fleurs offers a seasonal menu of French-inspired California cuisine, featuring the freshest ingredients available at local farms and markets. For the Restaurant Week menu, chef Woesle has whipped up delectable options that beg to be seen as much as savored. Always artfully presented, a meal here is as much a feast for the eyes as it is for the palette. With entrée options like the Quenelles of Trout and Grilled Shrimp with Brocco Flower Risotto finished with Nettle Leaf Champagne Sauce, or the Pork Tenderloin Stuffed with Prosciutto, I may need to go back a few times to try every dish of each course. Then again, this just may be the perfect opportunity to brush up on my French while savoring all they have to offer. Which Restaurant Week options will you try in North County San Diego?